Now that the year is winding down and 2010 is winding up, have you stopped to wonder what fitness trends will be hot in the New Year? We have! And the American Council on Exercise has answers! Hooray! 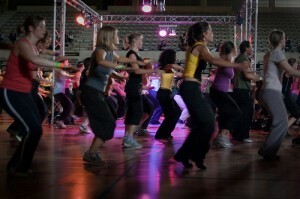 Check out the link below for the fitness education site’s top 10 fitness trend predictions. I have to say that as a certified fitness professional myself, I agree with these 10 fitness predictions! I think that bootcamp stuff will continue to be popular. However, I don’t know how long people will actually stick with the WII stuff. I think it’s popular right now. However, what I find with videos is that I get bored. I would love to have a 12 week fitness challenege on a tv Program..like direct TV 12 week blitz. Now they may have this..but I’ve been living overseas forever.